Long before genetic engineering, or people even knew of DNA, fiction has been warning us of taking our tinkering with nature too far. 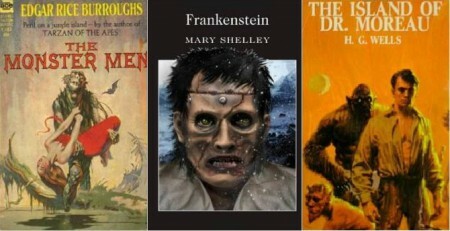 Books like The Island of Doctor Moreau, Frankenstein and The Monster Men are all at least a century or more old. Yet these authors all saw the age-old hubris in man to try to “improve” on nature, for good or evil. Is some government or group making fiction fact? Unfortunately, the answer is probably. Science is an amazing gift, created in the minds of men. Too bad some of those men turned science into a god — a religion of scientism. Others abandoned good for evil. No wonder such books have endured for so long. We all — whether we admit to it or not — instinctively know danger lurks in the shadows. And there must always be someone to stop it.